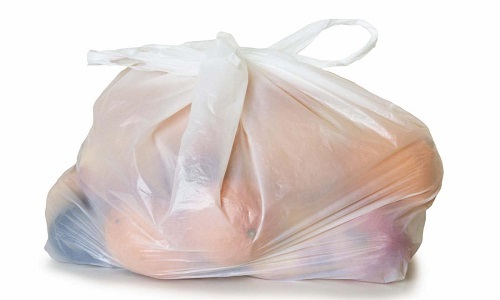 On November 24, the European Union adopted a legislative proposal amending the Packaging and Packaging Waste Directive (PPWD) that addressed the challenge of conventional single use plastic carrier bags consumption. It also explicitly sanctions the actions of several member states that have already recognized the benefits of compostable bags. The proposal adopted explicitly pushes decision making to the local member state level, where decisions can best be made consistent with local infrastructure, practices, and markets. European Bioplastics welcomes the strong environmental commitment of Ms Auken, the Europe’s bioplastics industry association said in a statement. European Bioplastics also appreciates the endorsement of the EN13432 as the standard to certify biodegradation and the initiative to further improve biodegradability and compostability labeling for plastic carrier bags. Describing “oxo-biodegradable” plastic bags as “hugely problematic”, Member of the European Parliament (MEP) Ms Auken explained, “These plastic bags worsen the litter problem by fragmenting into micro-plastics polluting the environment and hindering composting and recycling. European Bioplastics also lamented the missed chance of banning the oxo-degradable plastics. “This would have sent a clear signal that bags should not be placed on the market with misleading claims about biodegradability,” Mr de Bie argued. However, he believed it is only “a matter of time” that the European Commission (EC) will present a report the European Parliament and Council, which will “clearly show that oxo-degradable plastics are not biodegradable and hence do not qualify as an ecological solution”.